Kevin Phillips, a fifth-year music education major, is preparing for his spring voice recital. All music majors are required to give a recital, USD choir director David Holdhusen said. Aaron Mercado | The Volante. Countless hours of rehearsal and preparation lead up to one moment in front of the audience, one moment for a musician to show off everything they have, after planning, advertising and practicing over and over again. The audience never really sees the extensive amounts of work that go into a recital. Kevin Phillips, fifth-year music education major, is in the process of preparing for his spring voice recital. Phillips said usually recitals are solo work, so a lot of time goes into the planning and performing process. The purpose of a recital is for a music student to showcase what they’ve learned in their musical studies. In addition to the actual performance, these students also learn how to go about planning, preparing, rehearsing, marketing and ultimately performing a recital. Every musician goes about preparing for a recital differently, but in general, they follow some sort of formula. First, the process starts with the studio teacher, who helps the student learn and develop technique, musicianship and what literature fits their instrument or voice best. From there, the musician selects their repertoire and practices it as much as possible. Phillips said he picked his music by coming up with a theme, which is a journey through life including love, death, spirituality and finding oneself. Phillips is preparing 14 pieces for his recital coming up in March and said the best time to start planning is at least a semester in advance. 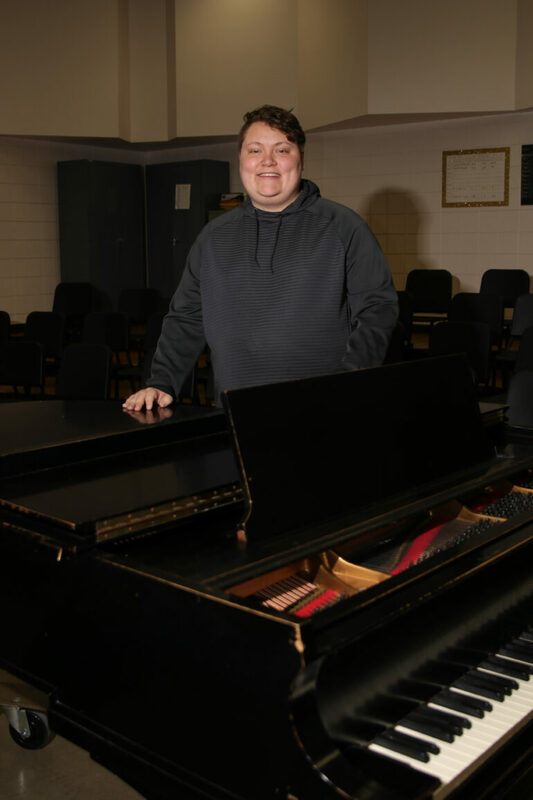 Junior vocal performance major Bailey Quade is also preparing for a recital in February. Recitals are one of the graduation requirements for music majors and Quade said she is looking forward to her first one. Quade will be performing her recital alongside junior Mikayla Trenhaile on Feb. 23. After mastering the music, the student has just a few weeks before the recital. This time is usually used for polishing any troublesome passages in the music and performing in front of anyone and everyone who will listen. USD choir director David Holdhusen said requiring music students to give recitals offers several benefits. Once the music is learned, the posters are put up and the stage is set up, it’s only a matter of time before the recital begins. Phillips said he always gets nervous before a performance but thrives from the high-stress situation. Holdhusen said the more prepared a student is for their recital, the more comfortable they will be during the performance. In the future, Phillips said he wants to be a professor of voice, so learning the recital process has a variety of benefits.